Today I wanted to share with you the best FREE educational and entertaining apps for toddlers that have been approved by Bella, and me, but Bella’s opinion matters most. Some parents believe in no screen time, some believe in a little, and then there are moms like me who believes that if it makes my child happy, keeps them occupied, and can be educational I give it the thumbs up! Bella of course is my third so there is a lot more I am just throwing to the wind with her such as I have not child-proofed any part of my home. Those little latches on cupboards are annoying and to be quite honest Bella is rarely alone for more than a few seconds expect for when she is sleeping. The only drawer she goes in is the cats drawer to play with his tin cans of food and the bottom drawer of the stove to grab my pot lids and smash them on the floor. I think we as parents become a little more relaxed with each new child. 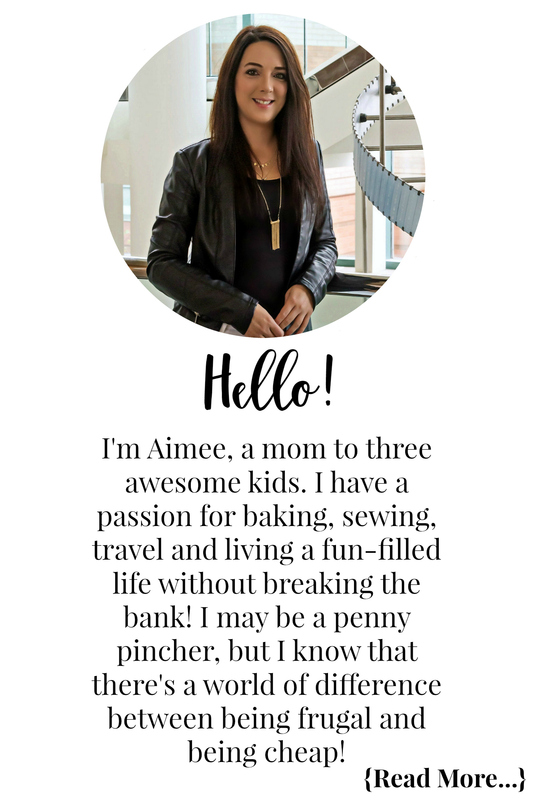 Either way whether you believe in no screen time, little screen time or throw caution to the wind and allow your little one to interact with a device whenever they’d like there is zero judgement from this mamma! We all do what is best for our own children and our own family. Bella loves to recognize shapes, colours, numbers, and more. 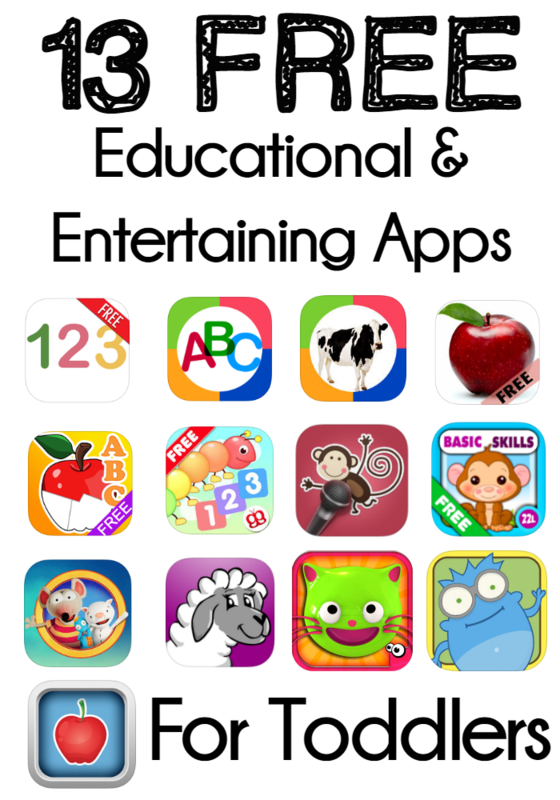 These best FREE educational and entertaining apps for toddlers in the list below have great learning tools that have helped keep Bella entertained while educating her. Between these apps, her chalkboard, and flashcards I use to teach her she can recognize the whole alphabet at the age of 2 and her numbers up to 10. A few friends of mine who work as ECE’s say they have some kids entering Kindergarten who can’t even recognize the letters of the alphabet so this makes my heart happy that at 2 Bella can. I enjoy working with Bella to prepare her for school, after all she will be an early starter due to her birthday being in December. While these apps below are linked for iPhone/iPad some of them are also available for Android. I have listed the ones available for Android (the first 5) and added another 8 to the list to bring it to 13. If you are open to apps that do cost money I highly recommend the following paid apps, they are both entertaining and educational! Playtime With Dora the Explorer: This is one of Bella’s most played apps. She loves playing the matching game, memory game and has recently started to enjoy the puzzles. It amazes me how well my 2 year old can navigate and complete these games. Elmo Calls: This is another one of Bella’s most loved entertaining apps. We had both Elmo Calls and Cookie Calls on our devices but Bella randomly one day became terrified of Cookie Monster so I had to remove the app. She wouldn’t even touch our phones if she saw the app square lol. We are not sure what Cookie Monster did to upset her on the app, she has stuffed animals of him and plays with them. She also whispers “Cookie Monster” in a scary voice to us so it is really amusing why she no longer likes that app. Do you know of any other apps for toddlers that you think are great? Let me know in the comment section below, I would love to know so I can check them out for Bella. Thanks for the list these are sure to come in handy !